LOCATION.--Lat 43°37'18", long 73°25'08" referenced to North American Datum of 1927, Washington County, NY, Hydrologic Unit 04150408, on U.S. Coast Guard navigation structure No. 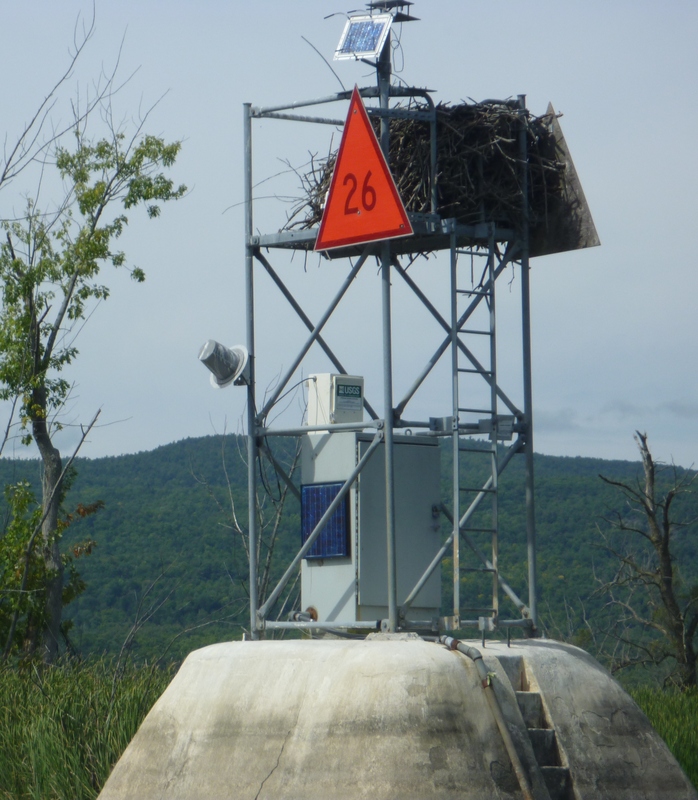 26 on Lake Champlain, 2.5 mi north of State boat launch at South Bay, and approximately 4 mi north of Whitehall. PERIOD OF RECORD.--October 1998 to current year. GAGE.--Water-stage recorder. Datum of gage is NGVD of 1929 (New York State Department of Environmental Conservation bench mark). To convert elevations to NAVD of 1988, subtract 0.27 ft. REMARKS.--Area of lake surface about 490 mi². Total volume below 92.5 ft elevation, reported by Lake Champlain Studies Center, 902.2 bil ft³. EXTREMES FOR PERIOD OF RECORD.--Maximum elevation, 103.57 ft, May 9, 2011, affected by seiche; minimum elevation, 92.49 ft, Oct. 16, 2016, affected by seiche.